These simple and beautiful Winter Wonderland Cookies are perfect for any winter holiday or party! 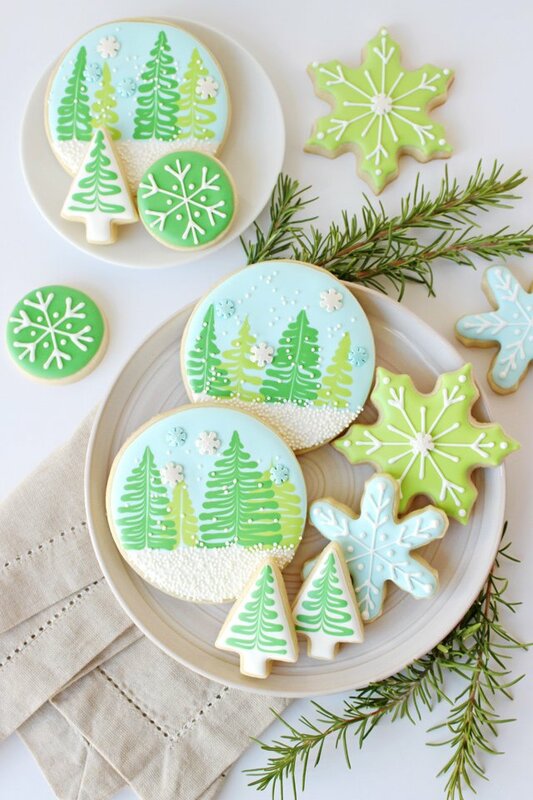 Here in California we still have lots of sunshine… but I can dream of snow with these cute cookies! 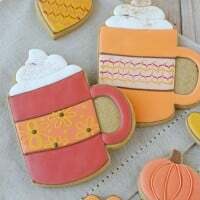 One of my favorite things about this set of cookies is that it only requires a few icing colors and some very simple techniques to create a fun and engaging collection! And although these cookies would be adorable for Christmas, they’d also be perfect for any winter holiday or party… all the way into January. Let’s decorate and dream of snow together! Start with a batch of my Perfect Sugar Cookies. For this set you’ll need some round cookies (large and mini), some snowflakes and a simple tree (I used a mini tree cutter from Ecrandal, but I do not see it on their site currently). I’m trying something new and sharing the decorating process with a video, in place of step-by-step photos. For the large round cookies (the tree scene), the trees should be added immediately after the cookie has been “flooded” with the white and blue icing. For the mini trees, (pictured in this post, but not show in the video) the same technique (called “wet-on-wet”) should be used. 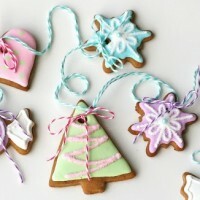 For the snowflakes, outline and flood the cookies, then allow to dry (1-4 hours) before adding the white details. Disclosure – Amazon links provided for your convenience. I may receive a small commission when you shop using the links in this post. Which greens did you use for the trees? These cookies are BEAUTIFUL!! These cookies are so beautiful and I loved watching your video. 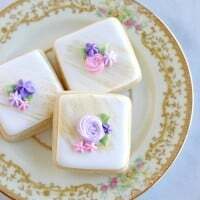 Can’t wait to try to make these myself – wish me luck!! Thanks for the feedback on consistency. It’s taking me a lot of do-overs to get it right. I like your comparison to toothpaste (piping) and shampoo (flooding.) Might use those for practice! I loved the video! It inspired me to try something new. Thanks so much for your sweet comment! These little scenes probably look a lot like Alaska, I imagine! Merry Christmas to you! This seemed like a great idea. but…after several failed attempts and shopping at several stores short of ordering on line I have been unsuccessful in obtaining an 1.5 or 2 tip. I had no idea they even came that small. No wonder you can get such precision. I couldn’t even fine any meringue powder in this area this time of the year. Very disappointed that this is not a “common” task that can be done. So sorry for the frustration! I have many recipes on my site that can be accomplished with everyday ingredients, but if you’ve never decorated cookies at all before, it does require a few specialized supplies. Of course I have no control over what’s available in your area. A couple things… meringue powder is generally available at Joanne’s, Michael’s, Hobby Lobby and it’s sold at my local Wal-mart as well. It’s sold in the cake decorating section. The #2 tips should be easily available (again, I have no idea where you live, so I can’t account for that). The #1.5 tips are by a brand called PME, and you will likely only find them on-line. The #2 tips could be used in place of the #1.5 with good results. Just found your site. I love the detailed instructions as far as consistency and tips for which colors. It is so helpful. I loved the video! I am amazed by your talent!! I forwarded to my artistic 16 year old daughter. We’re planning on decorating cookies this week – maybe we can get something close to your end result! Great job! Just so i don’t mess this up, when you pipe and flood the pale blue section and the white section, you are not changing the icing or the tip for those sections. 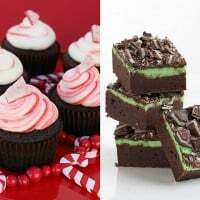 You are piping then immediately flooding with the same extact frosting and tip. I️ can’t tell if you are switching in the video. Yes, you are correct, for this design the outline and flood are the same icing. If you are a first time decorator, you may opt to use a slightly thicker consistency outline so you don’t have to be so precise with getting an icing that’s just thick enough to stay on the cookie, but also works as a flood (as I did). Either way will work for this design. Best of luck and happy decorating! There are so many things I love about this comment… but I think your ingenuity is #1! =) So glad you had such success! Merry Christmas! These are beautiful. How big is the larger round cookie (with the trees)? Thanks! The circle I used is about 3.5″ diameter. I think anything from 3″ or more would work great. You could do even smaller, but might have to add less trees. Happy decorating! These are just WONDERFUL. Like little snow globes in cookie form! Thanks so much Jessie! Wishing you the merriest and sweetest of everything! Just plain GORGEOUS! Not making this year but saving site and hope to be ambitious enough to do some of these next year as gift items. See you have other so cute designs. Thanks for the beautiful ideas. I truly enjoyed the video! Helps those of us who learn more visually. Must give it a try. Your cookies are beautiful!! Thank you for this video! I love a video for something like this :). Can you post a link for the tips you use? These cookies are beautiful and I loved the video! We made them today and the sugar cookies are tasty. My trees aren’t quite as pretty as yours but still look good. I can’t wait to share them!! Thank you!!! I made these cookies. I had trouble getting the consistency of the frosting right. First too stiff wouldn’t flow. Thinned it was to where it would flow together but still needed a lot of help with the toothpick to fill in blue and white so it wasn’t as thin as yours but it still ran over some edges. How do you know what thickness you need? Oh How I wish I could make these beautiful cookies…I will try again…your video is so relaxing I could watch you all day…..thank you for sharing and I will try one.more.time. could you please tell me if there is a book out there that has this lovely recipe in it because I’m trying to learn all the techniques that I can lean through all these wonderful video’s that you and many other share on facebook . Thank you. We are having my extended family Christmas party at our house next weekend, and these cookies will be just the perfect addition! I think I have all the supplies, including the snowflakes! I found your video mesmerizing! Any idea how far in advance I could bake the cookies? I’d love to get that task over with sooner rather than later. Love, love, Love! I really like the video, and prefer that, but the notes were very important. I couldn’t tell in the video if the big cookie was wet on wet so I needed to read that. In answer to your question I like the video better but I think notes are important as well. Thank you for sharing your beautiful design. What kind of icing is used to spread nicely on the cookie? Hi Vickie, The icing is called royal icing. There is a link in the blog post above to the recipe, but I’ll add it here as well –> http://www.glorioustreats.com/2010/04/spring-cupcakes-with-cookie-toppers.html Happy decorating! Love your video. My daughter and I are going to try it today. First time. Hope thwy come out as beautiful as yours. Merry Christmas. Is the link to the video still there? I can’t find it. The video is in this blog post, just after the written directions. Depending on your internet connection you may need to scroll through the post slowly to allow the video to load. Happy decorating! 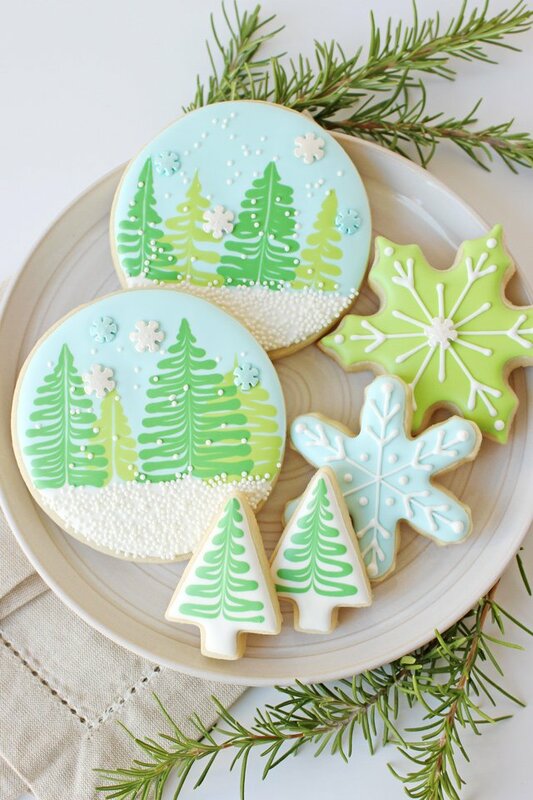 For the large winter scene cookie, what size circular cookie cutter did you use? What is the diameter? Beautiful cookies! I can’t find the video, either! I know I’ve seen it before, but can’t find it here, on Pinterest, or on you tube. Thanks for responding! I see the sentence, “Enjoy this short video…”… but nothing is there. I did find the video with the link to your FB page. Thank you so much! Your artwork is awesome and videos are fun to watch!